Photo: Ramey House, ca. 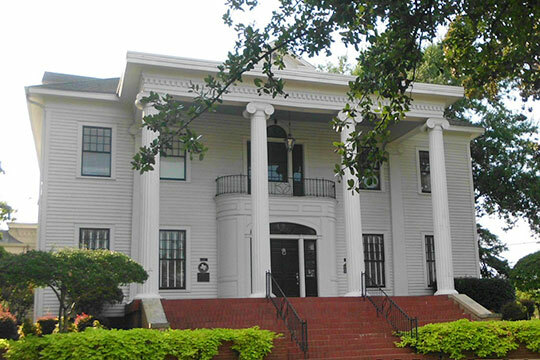 1903, 605 South Broadway, Tyler, TX. Listed on the National Register of Historic Places in 1982. Photographed by User:Mastersyfodiaz (own work), 2014, [cc-by-3.0 (creativecommons.org/licenses/by/3.0)], via Wikimedia Commons, accessed May, 2015. Smith County administrative offices are located at 100 North Broadway, Tyler, TX 75702; phone: 903-590-4777. Smith County was established in April of 1846.